VA Form 10-10M is a United States Department of Veterans Affairs form also known as the "Medical Certificate". 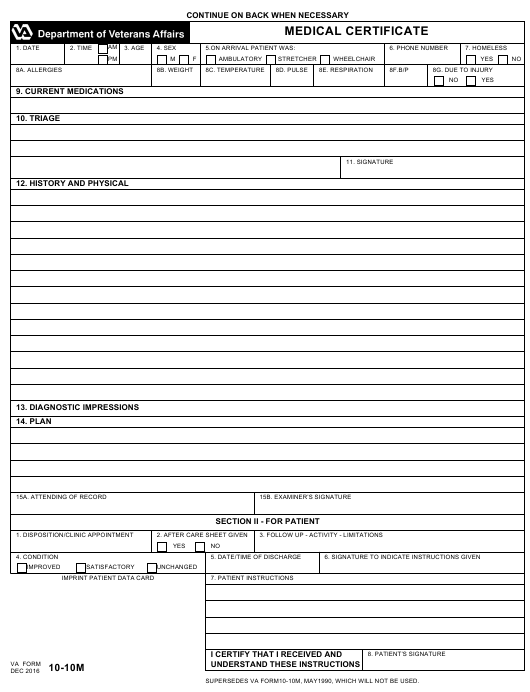 The latest fillable PDF version of the VA 10-10M was issued on December 1, 2016 and can be downloaded down below or found on the Veterans Affairs Forms website. SUPERSEDES VA FORM10-10M, MAY1990, WHICH WILL NOT BE USED.